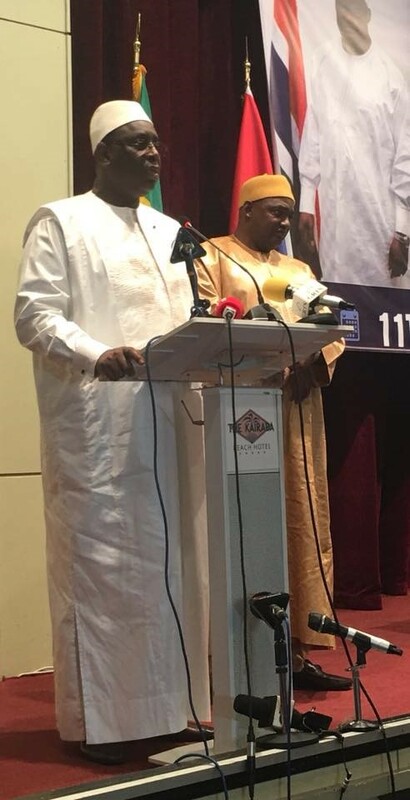 The Gambia and Senegal have concluded the first talks to strengthen what both countries say are “bilateral interests” via the newly formed Presidential Council. The meeting, held from March 11-13, 2018 in Banjul, focused on bilateral issues of common interest. It was preceded by talks between the Gambian President Adama Barrow and his Senegalese counterpart Macky Sall. The Presidential Council (of experts and ministers) was set up by a joint communique between the two countries in March 2017 at the visit of the Gambian president to Senegal. It would meet every six months, alternatively, in The Gambia and Senegal, under the joint chairmanship of the two heads of state. The meeting, attended by officials of the two governments, examined all issues of bilateral interest. Officials of the two countries said the biannual meeting would provide guidance to the two governments for deepening cooperation. Decisions reached by the Council are to be implemented by the Senegalo-Gambian Permanent Committee, which is co-chaired by the Vice-President of The Gambia and the Prime Minister of Senegal. Last year, Barrow and Sall said they have “strong commitment” to promote peaceful coexistence, good neighborliness and brotherly relations based on mutual respect and trust. Gambia’s Barrow has since announced the lifting of all restrictions on industrial and artisanal foreign fishing vessels in The Gambia. This includes the ban on cross-border trade on fish and fishery products. However, six months ago, Gambia begin negotiating deals with three private companies to crack down on rampant illegal fishing in its territorial waters. Illegal fishing costs West Africa’s coastal nations around $2.3 billion a year, according to Reuters news agency. On Tuesday, The Gambia and Senegal signed six agreements at the end of the Presidential Council meeting held in Banjul, attended by the heads of state of the two countries. The agreements include assistance to detain and transfer of persons sentenced; road transportation; health and animal production; cultural cooperation; sports; and higher education, research, science and technology. They also agreed to strengthen cooperation on defence and security, justice, consular affairs, free movement of people and goods, tourism, energy, and environment. As part of the agreements, the two countries are to set up joint border patrols tofight trafficking in timber; to pursue extradition and mutual legal assistance as a matter of judicial cooperation; and to share information to tackle challenges arising from export, import, re-export and transit trade. Gambia’s President, Adama Barrow, said the two countries will work hard to implement the areas of cooperation that have been signed. “We are committed to promote democracy for [the] socio-economic development of our people through regular consultative meetings,” he said. Senegal’s President, Macky Sall, said the two countries are working closely to ensure smoother cooperation and brotherly relations. “Some are building walls between people somewhere, The Gambia and Senegal are building bridges,” he said.